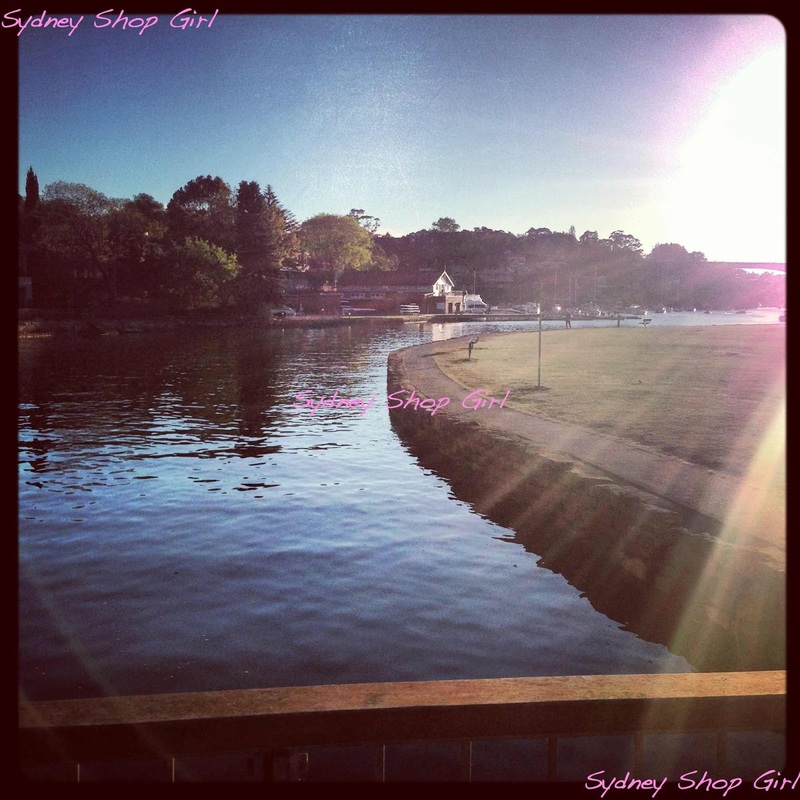 Sydney Shop Girl: The Girl In Oslo's Tag - 2014 Edition. Busy, busy, busy. It's been chaos at work. The busier I get, the harder I find it is to wind down when I'm supposed to. I was asked by the lovely L at The Girl In Oslo and asked to participate in her 2014 edition of The Tag. I love filling in responses to posts like this. It's a kind of structured chance to relax for me. Thinking of answers is just enough to keep my mind ticking over while the typing itself is very soothing. It's also proven to be a good way of sneakily blogging about what I've been up to. Nothing too exciting but somehow writing about it all as a response to a blogging challenge forces me to find the interesting angle ... somewhere. Umm. 0445. Beat my alarm and dragged myself down the road to the gym. Okay. I do feel much better for doing so. Medium rare and with lots of a very tasty sauce I made up. Here's the trademarked recipe - equal parts Masterfood's honey wholegrain mustard, Masterfood's barbecue sauce (not the low salt version) and Heinz ketchup. It has to be these brands, accept no substitutions. Gee. I can't even remember. What I am going to do is sit on that fully reclining seat that departs Sydney for Orlando on May 11 and catch up. anything this little one watches. In this photo he's doing the festival thing and watching Rage but usually it's In the Night Garden.or Peppa. Anywhere my family is. They make any place one filled with sunlight, love and laughter. A mixture of this Woolies cereal, weetbix and a tablespoon of pysllium husk. With some extra chopped pecans and sultanas mixed through. No one needs to know about the teaspoon of raw sugar that found itself in there too. 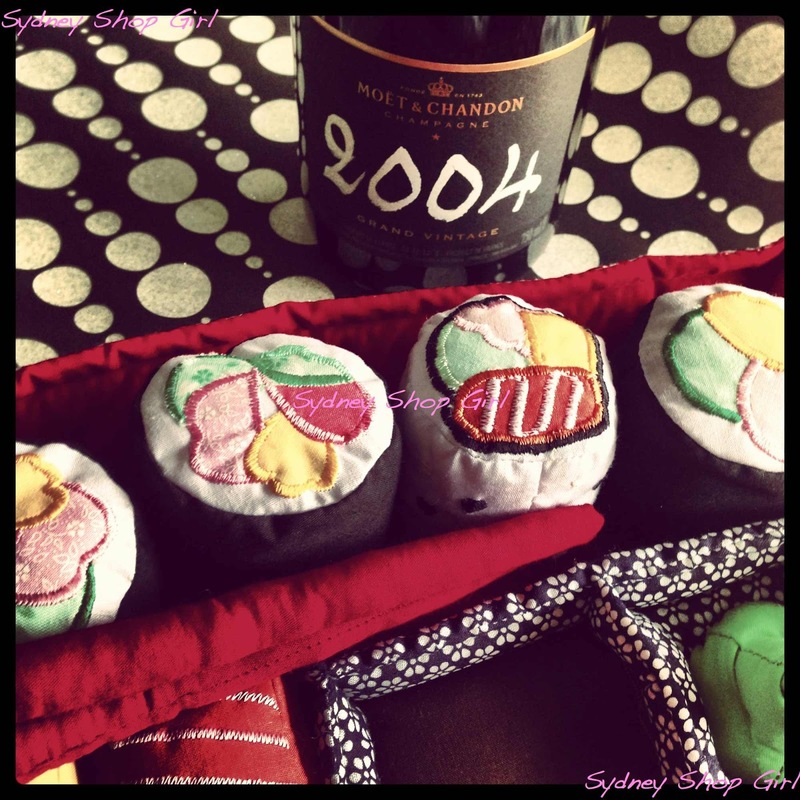 Sushi and champagne. They deserve to be recognized as separate cuisines in their own right. Offal and kimichi. Together or separately. At my favourite cafe up the road (and down the road from the gym). My favourite time of day to eat there is around 7 in the morning on a Saturday. A home made blend of natural yoghurt, olive oil, parmesan, crushed garlic, salt and pepper and the juice of a whole lemon. And this is my favourite salad to eat it with. A baby SUV that's basically a station wagon in heels. It is a car notable for the fact that it helsp dough rise like a dream and that there are a couple of monkeys in the back seat (not including Toddler SSG). Anything I can fit into from my pre pregnancy wardrobe. It's a huge ego thing. I don't care if it's 3 years out of date. It fits. Somewhere withing five minutes of an Olympic sized heated, indoor swimming pool. Every morning, I'd take my dodgy joints and weathered skin to this pool and together we'd do laps without fear of the sand or hypothermia getting the better of us. And then I'd sit by the pool downing a coke of some description. Just because. The early mornings. Because they're always full of promise. Of a great day ahead and of the number of things I accomplish within it. .Swimming and the AFL Grand Final. I don't have the patience for long and drawn out productions with complicated rules like cricket and golf. No but I love listening to them in the morning. 22. Any new and exciting news you'd like to share? No but life is always surprising me with the new and exciting. 24. Are you a cat or dog person? 25. What was your last drink? Green tea but without the macaron in the photo. 26. Always wear your seat belt? 27. Been in a car accident? Several but I've always been very lucky to have not been hurt. Hypocrites, liars and the fact that some awful things happen to people that least deserve it whilst others seem to dodge karma. I'm old school Aussie. Canned pineapple, fresh tomato, red onion, ham and pizza topper herb mix. It goes without saying that I love cheddar over the top of it all. Mind says vanilla heart (but not its arteries) says peanut butter. 32. Favorite fast food restaurant? 33. How many times did you fail your driver's test? Twice. It was for a manual licence though. Does this make it sound better? 34. From whom did you get your last email? The Wall Street Journal. I have an electronic subscription that I need to make more use of. 35. Which store would you choose to max out your credit card? Hermes - not that hard to do, really. 36. Do anything spontaneous lately? I'm contemplating changing hairdressers. Contemplating change. How spontaneous. Yes. There's never a dull moment. It's rewarding, it's draining but it's always fun. I work with some amazing people. 39. What was your favorite vacation? It's always the one I'm counting down until. The anticipation, the waiting at the airport. I love it all. Just not the packing. At the moment it's Perth and Orlando. 40. Last person you went out to dinner with? Toddler SSG and the rest of my family. My office mates and I love a mix of 2CH (golden oldies), ABC News Radio and SBS Chill (my contribution to the work soundtrack). 42. What is your favorite color? Right now, I'm obsessed with yellow. 44. How many are you tagging for this quiz? I'm going to try my best to catch up with you individually later tonight. 45. What time is it? Nearly 1pm and nearly the end of my lunchbreak. It's been so fun to take my mind completely off work for 45 minutes and be creative. Instant as that eye opening mug of caffeine first thing at work. Pods when I've got time later in the day but am too lazy to buy a 'proper' one. Artisan roasted beans when I get the chance. Oliver Brown dark chocolate mochas. Say no more. And any time I've a quiet moment to myself to just sit, breathe mindfully and be very present in the current moment. Thanks for the tag ... working on mine now! ps - pineapples on pizza? nooooo! I hear you on In the Night Garden and Peppa ... high rotation in this household too! Will get to work on mine.